Banks’ deposits rose marginally by N5.33 billion in January thus reversing negative trend recorded in December. However, the naira depreciated to its lowest level in the parallel market last week with the exchange rate rising to N506 per dollar in the market. Meanwhile, Nigeria’s Eurobond appreciated last week due to upsurge in demand which halted three weeks of decline. 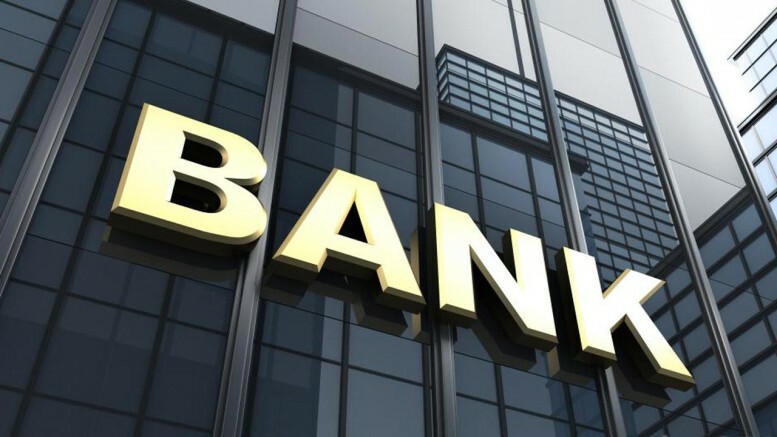 Banks are mandated to keep 22.5 percent of their total deposit as Cash Reserve Ratio (CRR) with the Central Bank of Nigeria (CBN). Consequently, the apex bank, on a monthly basis, debits banks for 22.5 percent of any increase in bank deposit for the month. However, if banks record decline in deposit, the CBN credits the industry 22.5 percent of that decline in deposit. Financial investigations reveal that the CBN debited banks N1.2 billion last week for CRR for January, implying that banks’ deposit rose by N5.3 billion. The increase, however represents 2.5 percent of the N213 billion decline recorded in December. Despite the steady increase in the nation’s external reserves, which rose further to $28.69 billion last week, the naira depreciated to its lowest level in the parallel market. From N498 per dollar the previous week, the parallel market exchange rate rose to N506 per dollar at the close of business on Friday. Parallel market sources attributed the depreciation to upsurge in demand amidst constrained dollar supply. Though the CBN sells $8,000 dollars to each BDCs per week, market sources however insist that this is not sufficient to moderate demand pressures in the market. According to Managing Director/Chief Executive, H.J Trust BDC, Mr. Harisson Owoh, there is need for CBN to increase dollar sale to BDCs so as to accommodate more demands and moderate the pressure in the parallel market. However, the naira appreciated in the interbank market for spot and forward transactions last week. Data by the Financial Market Dealers Quote (FMDQ) show that the naira appreciated slightly by 0.08 per cent for spot transactions, with the spot exchange rate dropping to N305 per dollar. Also the exchange rates for 1 month, 3 months, 6 months and 12 months contracts fell by 1.51 per cent, 2.2 per cent, 4.2 per cent and 7.67 per cent respectively to N315.34 per dollar, N323.27, N331.53 and N349 per dollar. Meanwhile, the Central Bank of Nigeria (CBN) and the Debt Management Office (DMO) will this week raise N252.44 billion through treasury bills and FGN bonds sales. While the CBN is expected to sell 91-days bills worth N32.436 billion, 182-days bills worth N30 billion and 36- days bills worth N80 billion. The TB sale is meant to mop up liquidity inflow from matured TBs of the same value. The DMO on its part is seeking to raise N110 billion by re-opening the FGN 5-year (2021), 10-year (2024) and 20-year (2036) benchmark bonds. Consequently, and in the absence of any major liquidity inflow, the interbank money market will this week experience scarcity of funds and increase in cost of funds. Prices of Nigeria’s Eurobond last week rose for the first time following renewed investors interest which triggered upsurge in demand. According to data by the Debt Management Office (DMO), price of the 5-year, 5.13% July 12, 2018 Eurobond rose by $2.68 (the yield fell to 5.4 per cent), while the 10-year, 6.38 per cent July 12, 2023 bond gained $2.68 (yield fell to 6.21 per cent). But the 10-year, 6.75 percent January 28, 2021 lost $0.03. The renewed investor’s interest might have been prompted by the roadshow that preceded the $1 billion Eurobond issued by the FG last week. Prior to issuing the 15 year bond, federal government’s officials including Minister of Finance, Mrs. Kemi Adeosun, Senator Udoma Udo Udoma, the Honorable Minister of Budget and National Planning, Godwin Emefiele, Governor of the Central Bank of Nigeria, Dr. Abraham Nwankwo, the Director-General of the Debt Management Office (DMO) and Mr Ben Akabueze, the Director General of the Budget Office met with foreign investors twice in London and the United States. These interactions resulted into $7.8 billion subscription to the $1 billion bond, implying 800 per cent oversubscription. Economic analysts have predicted moderate rise in January inflation figures, scheduled to be released by the National Bureau of Statistics this week. Analysts at Afrinvest Plc predicted that inflation will rise to 18.7 percent from 18.55 percent in December while analysts at Financial Derivatives Company (FDC) predicted 18.6 percent January inflation rate. “We forecast Year-on-Year (Y-o-Y) headline inflation rate to inch higher to 18.7 per cent from 18.6 per cent in December 2016 due to a relatively lower base despite projected slower month-on-month (M-o-M) change to 1.0 per cent from 1.1 per cent in December 2016 as the impact of yuletide season on prices wears off.” said Afrinvest analysts. On their part, FDC analysts said: “The FDC Think Tank estimates a relatively flat movement in the January headline inflation rate to 18.6 per cent from 18.55 per cent in December. Prices have generally either declined or remained flat recently. Be the first to comment on "Banks’ Deposits Rise by N5.33bn in January"